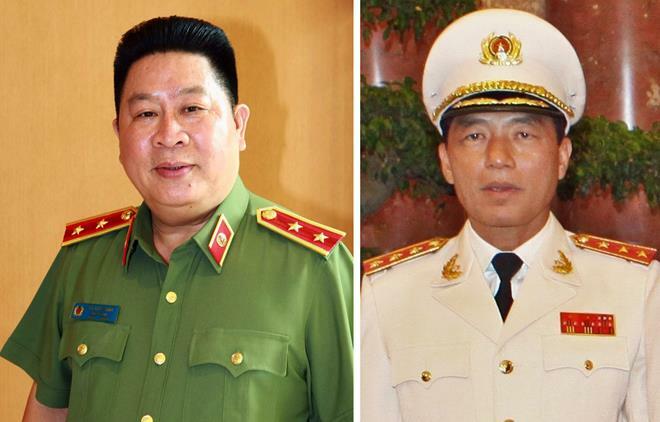 The People’s Court of Hanoi has decided to open the first-instance trial on January 28 for two former Deputy Ministers of Public Security who were prosecuted with the charge of “showing irresponsibility, causing serious consequences” in line with Article 285 of the 1999 Criminal Code. Also brought to the court together with Bui Van Thanh and Tran Viet Tan are Phan Van Anh Vu (alias Vu Nhom), Chairman of the Board of Directors of the Bac Nam 79 Construction JSC; Nguyen Huu Bach, former Colonel and deputy department chief of the ministry; and Phan Huu Tuan, former Lt. General and deputy general department director of the ministry. They all were prosecuted for “abusing position and power while performing duties” in line with Article 356 of the 2015 Criminal Code. Nine lawyers will defend the legitimate rights and interests of the accused at the three-day trial. This is an extremely serious corruption case that caused public concern involving high-ranking officers of the Ministry of Public Security, causing huge losses to the State budget. According to the indictment, Vu Nhom abused his power, along with support of Bach and Tuan, to hire, purchase and transfer houses without auctions and not in line with State regulations. He then made them his own properties or his relatives’, or transferred them under the ownership of other people to earn illegal profits, causing losses totaling more than 1,159 billion VND (50 million USD) to the State budget. Both Bach and Tuan caused losses totaling more than 1,134 billion VND (48.9 million USD) in total. Thanh was prosecuted for lacking responsibilities in supervising housing prices and allowing Vu to commit illegal transfers, causing a loss of over 223 billion VND (9.6 million USD); while Tan showed irresponsibility in management that created conditions for Vu to abuse his position and power and caused losses of over 155 billion VND (6.7 million USD).